Exceptional: we propose you here the prestigious white truffle juice (Tuber Magnatum Pico), with its unique taste and aroma. Use: with butter, meat bouillon, of cheese... to get the best sauces. 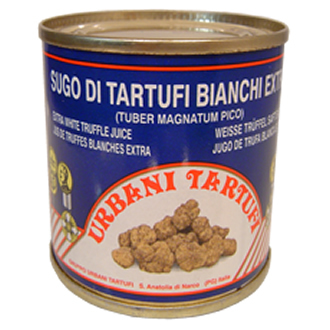 Ingredients: white truffle juice (Tuber Magnatum Pico), salt.